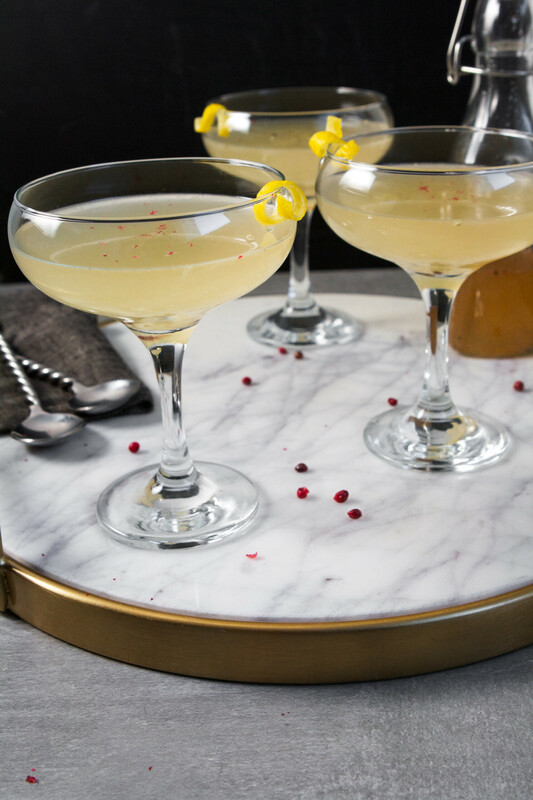 Light and refreshing, this vodka-kombucha cocktail is perfect for any occasion. 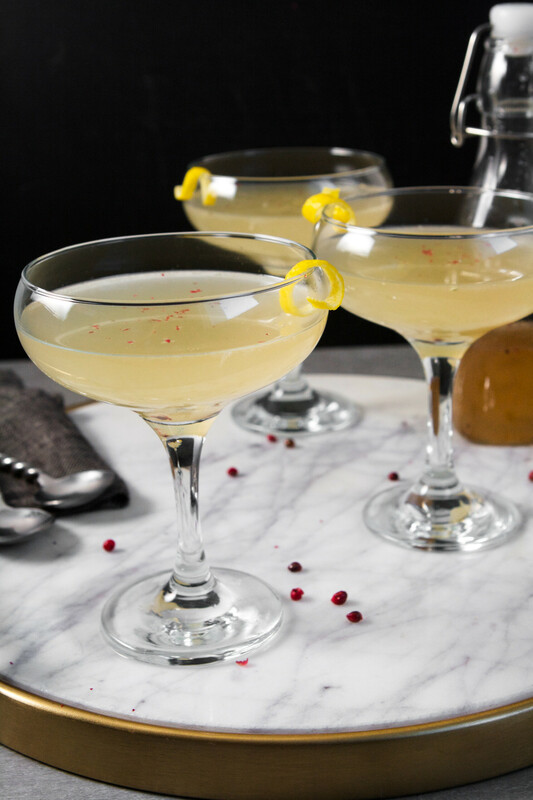 Made with a pink peppercorn-cardamom syrup and lemon-ginger kombucha, this drink has incredible depth of flavor and festive flare. I’ve come to realize in the past few weeks that you can tell a lot about a person from the type of chicken noodle soup they make. Similar to how the kind of car or dog you choose seems to say a lot about you. Greg loves soup, but more particularly chicken noodle soup. I’ve made it twice in the last two weeks, which means I’ve eaten it nearly every night for two weeks because if I’m going to make it, I’m going to make a lot of it. But here’s the thing. I don’t really like his kind of chicken noodle soup. We almost initiated a full-on Battle Royale about what type of noodles I was going to add. He insisted on Reames noodles, you know those thick, gummy, egg noodles? Can you tell how I feel about them? However, he did ask for mushrooms and I can definitely get on board with that addition. I humored him and made the first round with Reames noodles. It was pretty good despite the overcooked chicken and those damn noodles. The second round I used chicken tenders instead of breast (much better) and convinced Greg that a different noodle would work just fine. But out of guilt of not using the type of noodles he likes I over compensated and added way too much Ditalini. It became noodles with a ton of carrots, a drop of broth, and a few nuggets of chicken. BUT the broth was delicious and the mushrooms were seared to golden perfection. Damn. The noodle bit just killed me. After these last two rounds with the soup pot, I’ve made the revelation that this fall should be devoted to figuring out what my signature chicken noodle soup is going to be. The only problem is…I think I’m a no-noodle-chicken-noodle-soup kind of person. Does that make me extraterrestrial? Greg will die. I just know it. But imagine this, a chicken soup made with a silky, flavorful broth, tender carrots and celery, seared mushrooms, perfectly cooked chicken, and chewy barley. Toss in some thyme and rosemary, a bay leaf, a Parmesan rind, an voilà! What more could you want from a chicken soup? Greg may not agree with my line of thinking on this topic. One thing we can agree on? 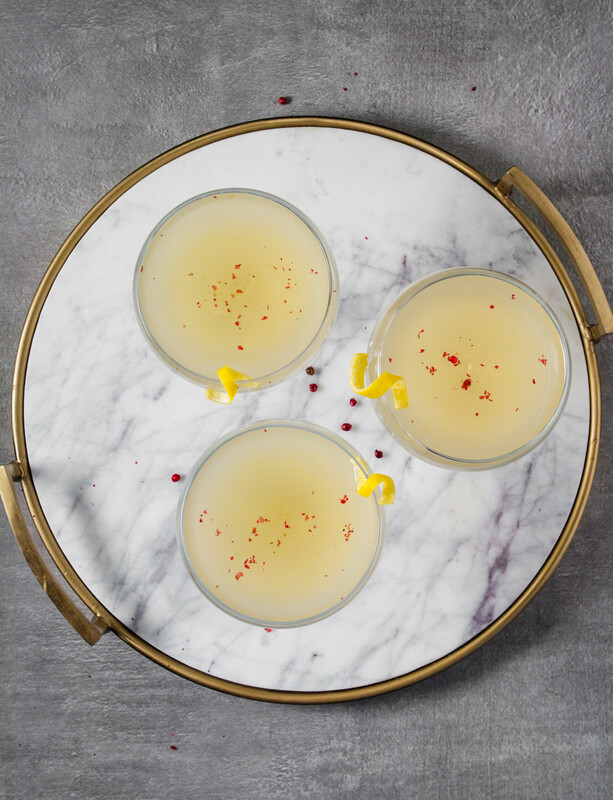 This vodka-kombucha cocktail. 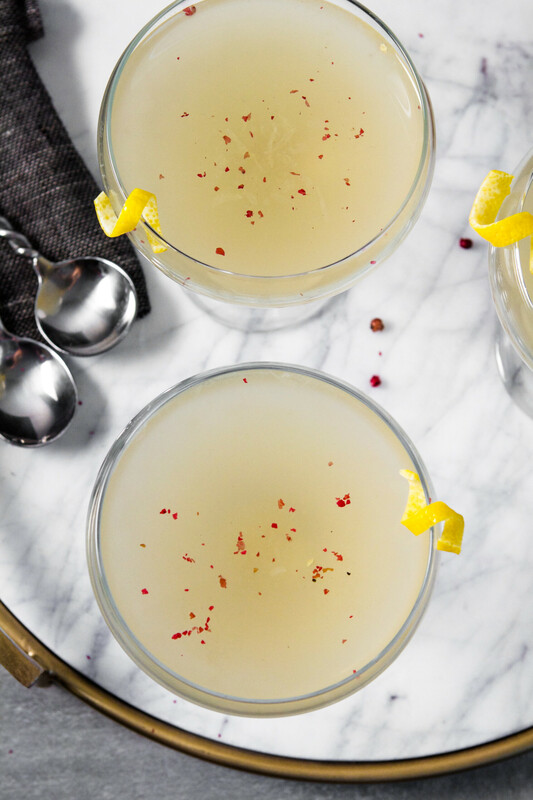 It’s light and refreshing yet has an incredible depth of flavor from ginger, pink peppercorns, and cardamom. It’s great anytime of year and would be a wonderful addition to any get-together or holiday party. 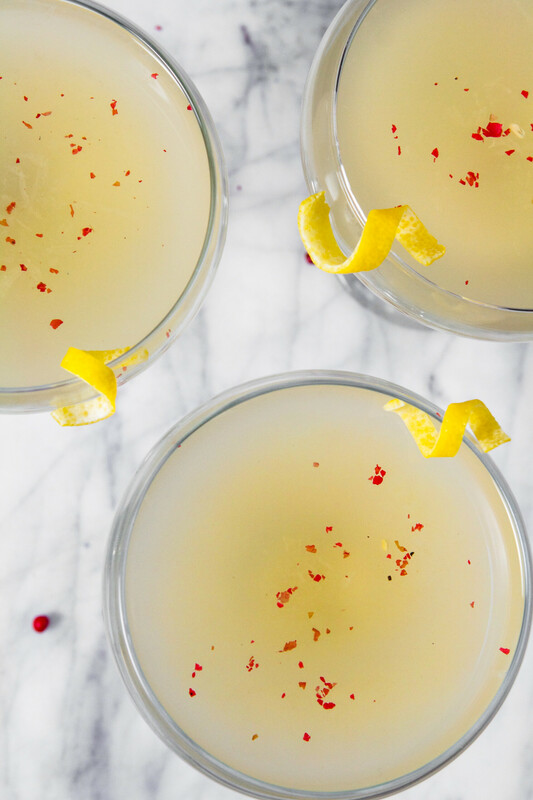 I’m sharing this cocktail for this month’s Recipe ReDUx challenge that’s all about gut health. If you recall, last month I had a bit of a brain fart. I worked ahead and developed a recipe with, yes you guessed it, gut health in mind. It was a happy accident because these tacos are out-of-this-world good and I make them pretty regularly…. Cheers to fall and it finally being the weekend! 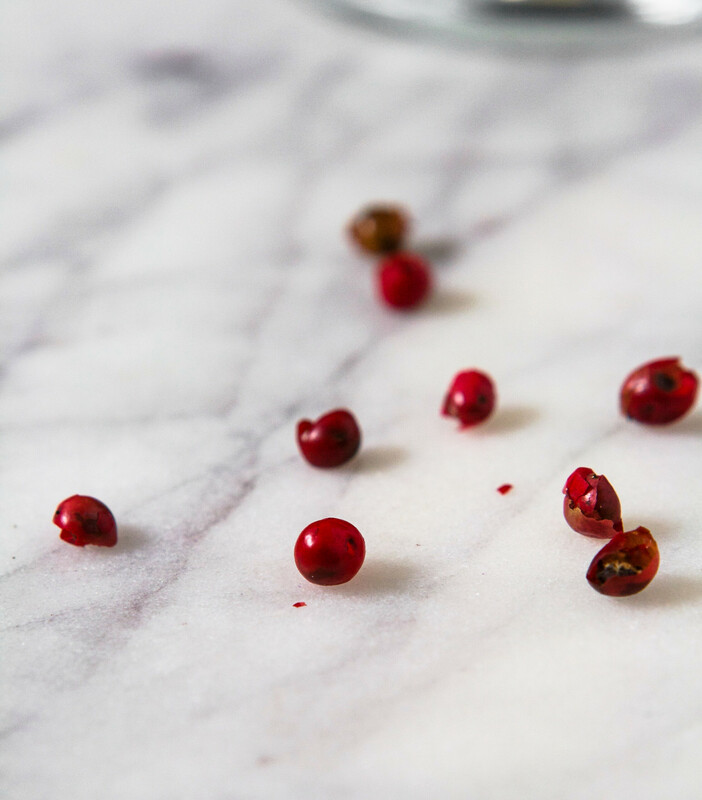 Combine water, sugar, cardamom, peppercorns, and salt in a saucepan over medium heat. Bring to a simmer and cook 1 minute, remove from heat and cool completely. Fill a cocktail shaker halfway with ice, add vodka, kombucha, syrup, and lemon juice. Secure lid and shake vigorously until thoroughly chilled. 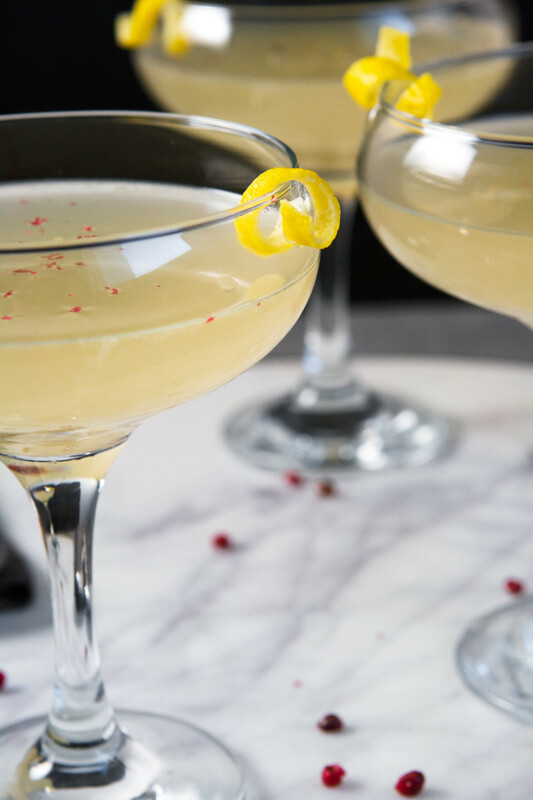 Strain cocktail into a coupe glass and finish with bitters. 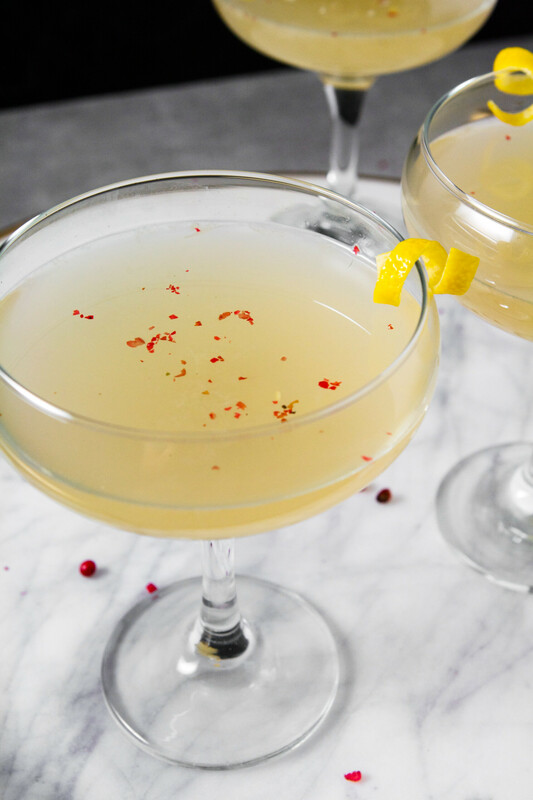 Garnish cocktail with pink peppercorns and a lemon twist. Like these glasses? Check out my other favorite bar essentials! LOVE this and I’m making it tonight! Thanks Anne! So glad you like it! This sounds amazing! So creative! I love your story before touching on the cocktail! 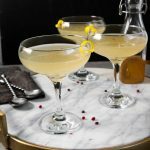 Your pictures are beautiful and really do a great job outlining how good the cocktail looks once it is done! 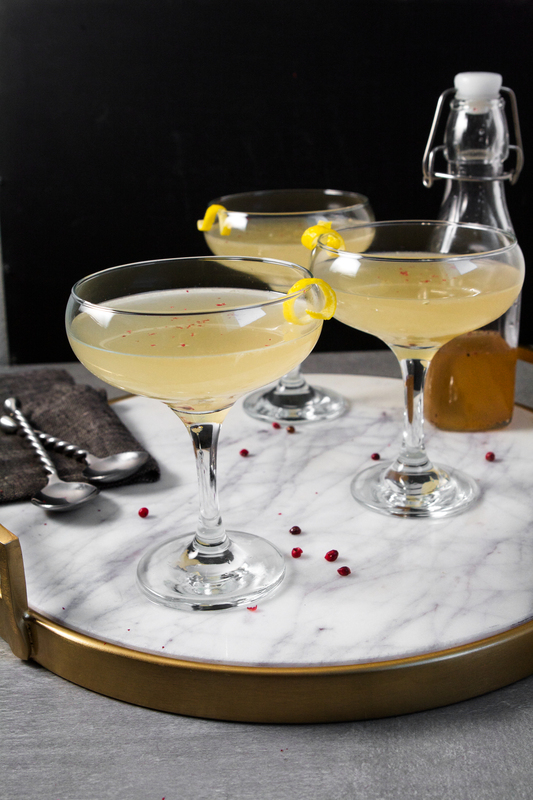 Do you have any pictures of the process of making the cocktail? If not, that’s okay! 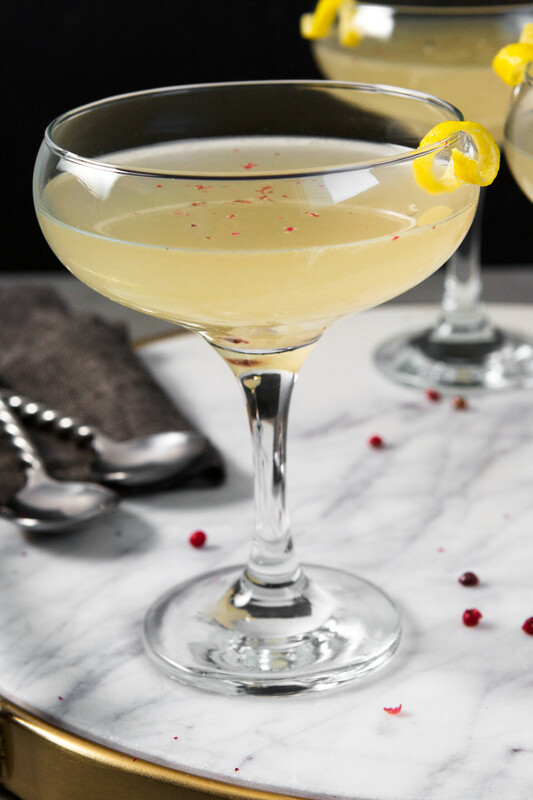 I’m definitely making this cocktail soon! Hi Billy, I unfortunately do not have any additional photos of making the cocktail. But please let me know if you have any questions! I would also love to know what you think of it! Thank you for the nice note!